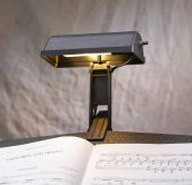 Kliplite is a line of clip-on music stand lights to meet your musicians' needs. 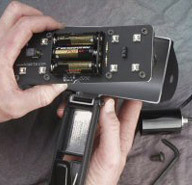 Our products include both LED and conventional stand lights, LED insert modules, cord sets, and AC adapters if you want to save your batteries. 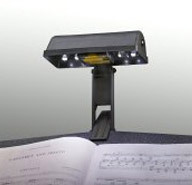 These high quality lights can attach to any type of music stands, making them perfect for orchestras, bands, conductors, or anyone else who needs to have a reliable stand light.